Welcome to a new way of working in Stockholm. It’s time to find out how you can have a simpler working day in this modern co-working centre. Part of Hammarby Sjöstad, a large urban redevelopment project which aims to revitalise a former industrial area with contemporary charm, this region offers inspirational views of the Sickla canal and Hammarby sjö. 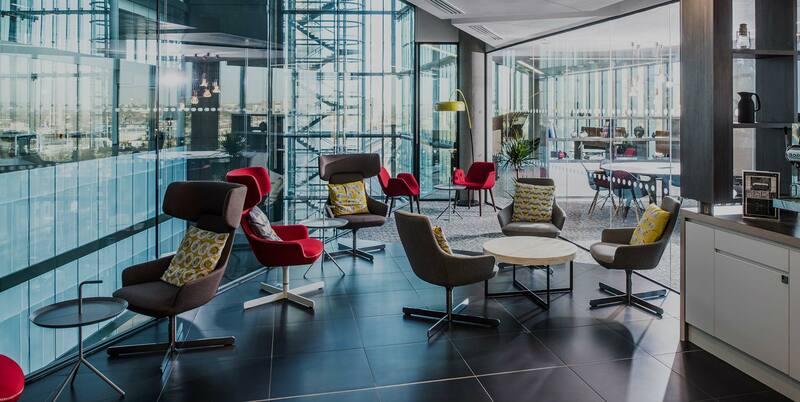 Working from this unique location, you’ll discover that you have access not only to the wonderful surroundings but a selection of exceptionally well-equipped private offices, creative meeting rooms and desk spaces to plug in and get creative. A highly productive space, you’ll be motivated to achieve your best at Hammarby Allé. The on-site deli cafe, high-speed Wi-Fi, convenient 24-hour access, showers, and breakout areas mean that whatever’s on your agenda for the day is instantly achievable. A step outside and you’re walking in Hammarbyhöjden, one of the most attractive areas of southern Stockholm. An attractive area to live, study and work in, there is a fascinating contrast between 17th-century former textile plants and modern cultural locations such as the Internet Museum or the scores of trendy restaurants. Extensive transport links by tram, buses and ferries ensure you can reach the city centre within minutes. And what’s more, it’s also ideal for recreation, with nearby SkiStar Hammarbybacken Ski Resort open in the winter, and Ericsson Globe Stadium open year-round for sporting events. A modern, flexible working centre that caters to professionals and creatives. Travel on the Gullmarsplan Transit Stop Bus, Tram and Subway services. Fantastic location just south of Stockholm’s city centre. Surrounded by popular restaurants and cultural destinations.